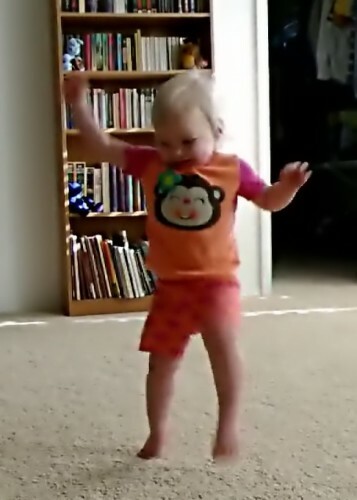 Heather got up this morning and just couldn't hold in her dance energy, so we put some music on for her and let her go. It's the best 60 seconds you'll spend this week, I promise. i think my favorite part is that she's worked herself out of breath. The girl has some sweet moves. I think she's been paying attention during Zumba! The next day, she added another move where she bends down and hits the floor. I'm pretty sure that one came straight from zumba!